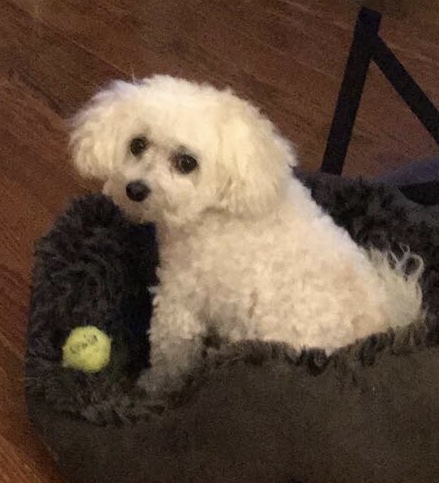 WESTMINSTER, Colo. -- A Thornton woman whose Maltese poodle was attacked and killed by a pit bull in Westminster said she wants to see regulations placed on the breed. Anastasiya Kurilova said she's not seeking a breed specific ban, but wants a community conversation about a muzzle requirement. Kurilova's mom, Valentyna Crichton, was dog-sitting "Zoe" at her home in Westminster on March 24. Crichton called her daughter and said she was going to take Zoe back home. "She walked out to the car," Kurilova said. "Zoe was still on the ground. Out of nowhere, this pit bull darted out from under the car and grabbed Zoe." Kurilova will never forget the next phone call from her mom. "She was screaming through the phone that Zoe was dead," she said. According to police, two people driving through the lot witnessed the attack and stopped to help. One of them kicked the pit bull away from the other dog. When the other witness jumped out of their pickup to help, the pit bull jumped into the pickup through an open door. The owner shut the door, trapping the dog inside, and called police. Police cited the pit bull's owner, Zachary Grimm. Kurilova told Contact7 that Grimm accepted responsibility for what happened. "He was really apologetic. He said there are not words to describe what you guys must have felt," she said. Kurilova said she doesn't want to dwell on the past, but would like focus on the future. "It's a tragedy," she said. "We both lost our dogs in this." The Thornton woman said she'd like to see Westminster, and her own city of Thornton, regulate pit bulls. She said other owners should learn from what happened in this instance. "They need to take preventative steps to save themselves and their animals," she said. At least seven Colorado cities have breed specific bans. Contact7 reached out to the owner of the pit bull for comment on this story. We have yet to hear back.